Our definition of content marketing depends on who we are talking to and what we are doing with it. Rob Yoegel, Content Marketing Director at Monetate, recently reached out to a group of content marketing experts searching for definitions. What we realized is that there are a lot of content marketing definitions out there, but not a lot of useful ones for practitioners and content marketers. So, here’s a number of content marketing definitions depending on your need. Enjoy, and feel free to define content marketing yourself as well. Editor’s note: Check out 9 Definitions: How Content Marketing Works Within Marketing for additional explanations. A content marketing strategy can leverage all story channels (print, online, in-person, mobile, social, etc. ), be employed at any and all stages of the buying process, from attention-oriented strategies to retention and loyalty strategies, and include multiple buying groups. Content marketing is comparable to what media companies do as their core business, except that in place of paid content or sponsorship as a measure of success, brands define success by ultimately selling more products or services. Content marketing is about delivering the content your audience is seeking in all the places they are searching for it. It is the effective combination of created, curated and syndicated content. Content marketing is the process of developing and sharing relevant, valuable, and engaging content to target audience with the goal of acquiring new customers or increasing business from existing customers. 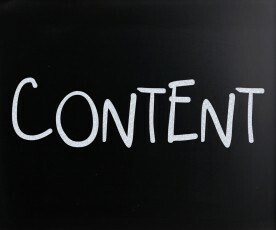 Need more help to define content marketing? Here’s 21 more definitions courtesy of Heidi Cohen.